Our talented team is passionate about helping clients create spaces they want to spend time in. We are rooted in thoughtful design and collaboration to get every detail perfect. Background: Mike earned his Bachelor's in Landscape Architecture and Environmental Design from NDSU. When he isn't working.... Mike likes to spend time biking, skiing, and windsurfing with his family. On the weekends, you can typically find him outdoors or coaching hockey. 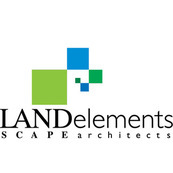 Mike is a board member of the Plains Art Museum and NDSU Architecture and Landscape Architecture Advisory Board. Mike also works as the General Manager of Kilbourne Group. Background: Brian earned his Bachelor's in Landscape Architecture from North Dakota State University. When he isn't working.... Brian enjoys spending time with his family. Growing up in North Dakota, Brian has passions for hunting and the ND outdoors. He enjoys playing the game of golf and hockey. Background: Originally from Breckenridge, MN, Nichole graduated from NDSU with a degree in Mass Communication. She went on to receive her MBA through the University of Mary. Nichole is our master of all things accounting, organization and logistics. When she isn't working.... Nichole serves as CEO of the Allmendinger home and chauffeur of the Allmendinger kids! When she isn't running around with her kids, Nichole can be found running marathons and trail races with her friends. Spending time on her bike, on the slopes, or on the water with her family and loyal dog, Aspen are some of her favorites. Background: Brad grew up in Northeast Minneapolis and moved to Fargo in 2009. He attended NDSU where he graduated from the Landscape Architecture program. He enjoys being confronted with new design challenges in the environment. He says, "The goal is not only to solve the functional problem, but solve it an a way that is idyllic." When he isn't working... Brad loves to spend time with his family. He also loves to travel and see new places. "Some of my best memories are from when we get lost in a new city and just experience everyday life in different cultures." We currently aren't hiring, but we are always looking for talented, creative professionals! Send us a message and let's chat!